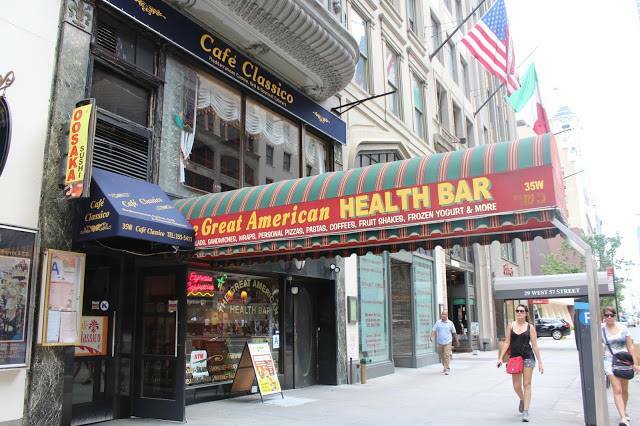 While the popular dairy cafe has been kosher for many years, many in the community didn’t eat at Great American Health Bar, a longtime tenant on W57th st. in midtown Manhattan. That all changed this past weekend when the restaurant changed their kosher supervision to the OK, one of the most widely accepted kosher supervisions in the US. Aside from the hashgacha change, the restaurant will now also be fully Shomer Shabbat, i.e. closed on Saturdays. The large menu offering of salads, sandwiches, wraps, pastas, frozen yogurt, and more has been left unchanged.